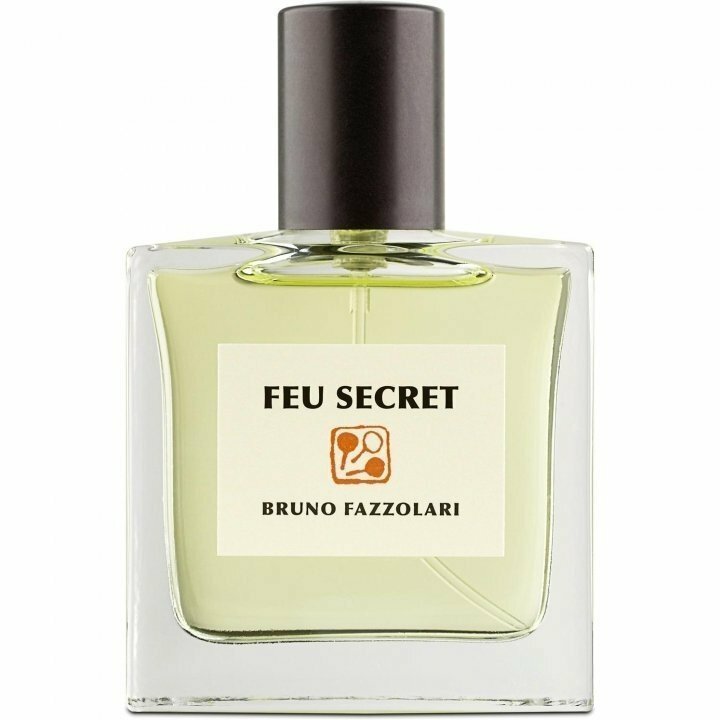 Feu Secret is a popular perfume by Bruno Fazzolari for women and men and was released in 2017. The scent is spicy-woody. The longevity is above-average. It is still in production. I discovered Feu secret during my last longer stay in Northern California, more precisely during a visit to Tigerlily in San Francisco. A very lovingly designed and quirky hippie-esque shop, offering a fantastic selection of niche and indie perfumes, with a focus on a fine selection of works by local Bay Area perfumers, of which Bruno Fazzolari is now one of the best known. The shop is a bit hidden on Valencia Street in the Mission District, a pretty fucked up area a few years ago where there were lots of thrift stores and lousy second-hand shops next to cheap traditional Mexican restaurants. In the meantime, this part of the city, like many others, has been thoroughly trifleted. The look of all the urban hipster shops, restaurants and bars that now line up there is still handmade and close to the ground, but the prices that are called for the needs of the urban lifestyle are no longer there. A shop like Tigerlily, which almost exclusively sells the nischigsten niche perfumes, fits there actually quite outstandingly. One summer afternoon I had the pleasure to sniff through the assortment. I was helped by an elven-like creature from the Tigerlila inventory in ornamentally printed flutter clothing in forest colors, we call it Legolas for simplicity's sake. My fragrance elb was of course very familiar with local perfumery heroes and to make a long story short, the early afternoon ended as expected in a shopping excess. Three very different scents of local perfumers, one of them was Feu Secret, wandered into my pocket at the end and a lot of money over the counter. There are several things about Feu Secret that fascinate me. First of all, I take it as something like Bruno Fazzolari's fragrant declaration of love to the northern Bay Area. One component forms the centre of the fragrance: iris butter. It is not easy to describe this characteristic scent of fire. My first association was a small silvery tin can that my grandfather had in a drawer in an old secretary with pastilles in it, possibly violet root pastilles. The scent was a little medical, earthy, slightly powdery and like from another time, soft, flowery, unsweet, soft, yet bitter. In Feu a very similar and special fragrance is garnished with a hint of spice, in hints of bitter. Peppery-rooted and dry. But first Feu starts with echoes of the light-flooded and foggy euclyptus and spruce forests in the hills of Northern California and their typical earthy, somewhat smoky-burning scent, when the sun burns the essential oils out of the leaves and the bark late in the day and the fog banks push further down over the Pacific towards the mainland. In Feu there are these green-gray brandy echoes, but the whole thing is so subtly interwoven that you still don't have the impression of smoke or ash. Finally, birch tar creates a masculine accent, which is combined in the base with unsweet, vanilla, floral and more feminine notes. All of this is extremely finely tuned, for me it is hard to keep it apart, the scent repeatedly closes into an elegant whole, hides its secret silvery fire from direct location, and closes weightlessly into a closed Gesamtkunstwerk. There is nothing clumsy or harsh, everything seems noble, distinguished, subtle, effortlessly classic and yet very modern. The fragrance is more or less completely present at the beginning, during the course only soft accent shifts occur. The classical structure in head, heart and base is rather indicated than clearly depicted. Durability and projection are rather above average. Feu is beautiful in the classic sense, equally wearable by women and men and an ode to one of the most beautiful areas I know. In this perfume the Orris, in my opinion that it is a natural Orris, not those synthetic so fashionable, is the show of perfume, the opening of the perfume lasts for more than an hour. In its beginning the Orris is warmed by the pepper and the turmeric, taking position the woods, thanks the carrot that makes it hotter. After that long opening time, it has an earthy green impression, which makes a discreet powdery sensation, which feels on the dry and woody base, the cedar takes off the perfume to make the iris put in front line. I am amazed Bruno by his work, he feels the force of the materials in its structure, resulting in something very pleasant.